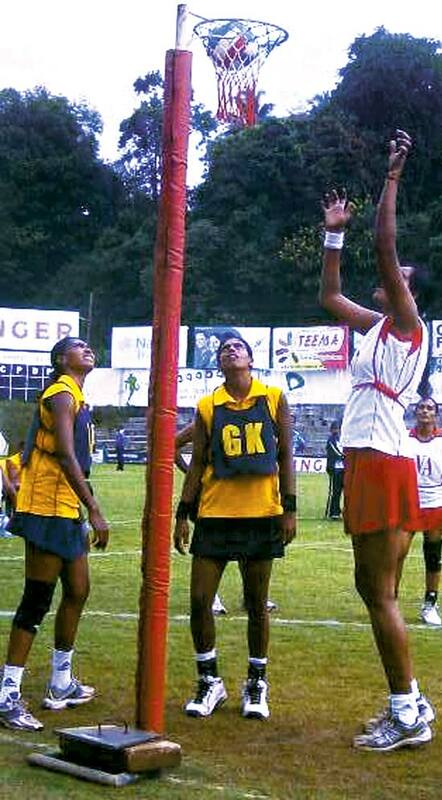 Tharjini Sivalingam of Seylan Bank shooting a goal with two Hatton National Bank players making a vain attempt to foil her in the final of the Netball Nationals played at Nittawela yesterday which Seylan Bank won 78-57. Picture by Sisira Jayanath Peiris, Ampitiya Group Corr. A superb performance by Tharjini Sivalingam saw Seylan Bank scoring a comfortable 78-57 victory over Hatton National Bank in the finals of the 13th Netball Nationals organized by the Sri Lanka Netball Federation and worked off at the Nittawela grounds, Kandy yesterday. At half time Seylan Bank led 39-28. Former Olympic shuttler and National Champion Thilini Jayasinghe put up a sparkling display to win a double at the Central Province Open Badminton Championship organized by the Sri Lanka Badminton Association and the Central Province Badminton Association and concluded at St Anthony’s College courts, Katugastota yesterday night. Old Bens BC produced a magnificent second half rally to beat Moratuwa BC ‘B’ by 88 points to 83 in their Carlton Cup 2010 inter-club basketball tournament match worked off under lights at the Depot Police Courts in Bambalapitiya yesterday.